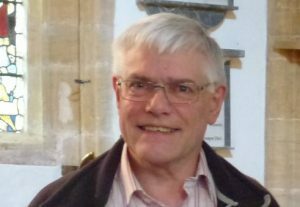 On the 10th August, Les Boyce will be tutoring an M2C course at Colerne in Wiltshire. 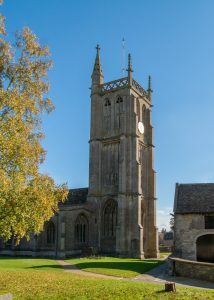 The tower has 8 bells, with a tenor of 14cwt. Module 2 C is suitable for both experienced and new teachers alike, it is not necessary to have completed Module 1 before attending, as ART recognises that many people who wish to teach or run practices do not always teach bell handling. As with all ART courses, emphasis is on breaking down teaching into small, manageable stages, helping ringers to progress at their own pace by setting realistic goals and working towards them. Skills such as running a successful practice, managing the ringing, explaining theory and standing behind giving useful advice are all covered. The day will be a mixture of practical exercises in the tower and theory presentations where there will be plenty of opportunities to ask questions or discuss ideas with other teachers. Because some of the exercises rung during the day involve course delegates ringing minor methods such as original minor, bastow minor and treble bob hunt, ART recommend that delegates’ own personal ringing ability is at least at the level of a quarter peal of bob minor on an inside bell, so that everyone can take part in all the practical ringing. Following the course, teachers are encouraged to go and put ideas from the course into practice as soon as possible, so that skills can be extended whilst the material is still fresh in everyone’s minds. By filling in a teacher’s log book (provided on the day), documenting practice plans and reviews, teachers can work towards accreditation with ART for Module 2 C.
Although there is some free parking near to the Church, some of the areas around the village shop are controlled, so delegates might need to park a little bit further away. During the day, refreshments will be provided and a ringers’ tea will be on offer at lunchtime. Course fees are £20 payable to ART. If you would like to reserve a place, please fill out this form on the SmART Ringer course booking form. The course tutor (Les Boyce) will then respond with further details.